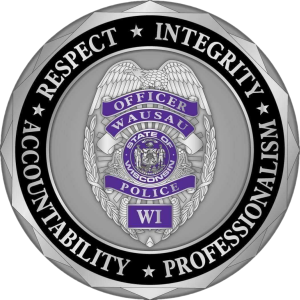 In 2017, the Wausau Police Department was approved for a grant which helped us create the Victim Response Unit. The purpose of the VRU is to have a coordinated approach to better serve victims of crime in our community. The purpose of the grant is to provide more in-depth services to victims of crime; especially victims of sexual assault, domestic violence, child abuse as well as under-served populations. 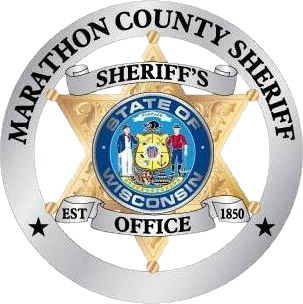 The Domestic Abuse Response Team, or DART, is a collaboration of members from the Marathon County District Attorney’s Office, Marathon County Victim-Witness Program, The Women’s Community Inc, the Wausau Police Department, Everest Metro Police Department, Rothschild Police Department, Kronenwetter Police Department, the Wisconsin Department of Corrections - Community Corrections (Probation and Parole) and the Humane Society of Marathon County. The primary goal of the DART program is to reduce and eliminate acts of domestic violence in our community. The DART program increases interagency cooperation while working toward a shared goal. The DART program has established criteria for determining when the team will be activated. The assistant District Attorney responsible for prosecuting domestic violence cases will review each case and notify the other team members if the case meets the established criteria. Team members for law enforcement and The Women’s Community coordinate a visit to the victim’s home after reviewing relevant case facts. The DART visit is generally done within 72 hours of arrest. This time frame is important because an arrested person is prohibited from contacting their domestic violence victim in the 72 hours following arrest. While at the residence, law enforcement may conduct follow up interviews of victims and witnesses (to include children). Officers may also develop a history of the relationship which can be important to a criminal prosecution and assessing potential lethality in the relationship. Victim advocates can offer services such as group and individual counseling sessions, answer questions about criminal and civil court proceedings, offer a 911 cell phone, provide contact information for various agencies, and provide countless other resources. This collaborative response to domestic violence aims to increase victim safety and end the cycle of violence. The DART program tries to make resources more available and easier for victims to access. We believe DART is improving the way in which our community responds to the victims of domestic violence. If you have any questions about DART, please Email. U.S. Immigration and Customs Enforcement (ICE), Homeland Security Investigations (HSI), is committed to protecting the public and ensuring that the rights of victims are carefully observed. HSI administers the Victim Notification Program which allows eligible victims and witnesses to obtain reliable and timely information regarding a criminal alien's release from custody. However, victims and witnesses are required to register with our agency in order to receive notification of a criminal alien's release. Listed below is a universal resource locator for the HSI Vicim Notification Program. By simply clicking on the link below, you will be transferred to a number of valuable victim services programs provided by ICE.